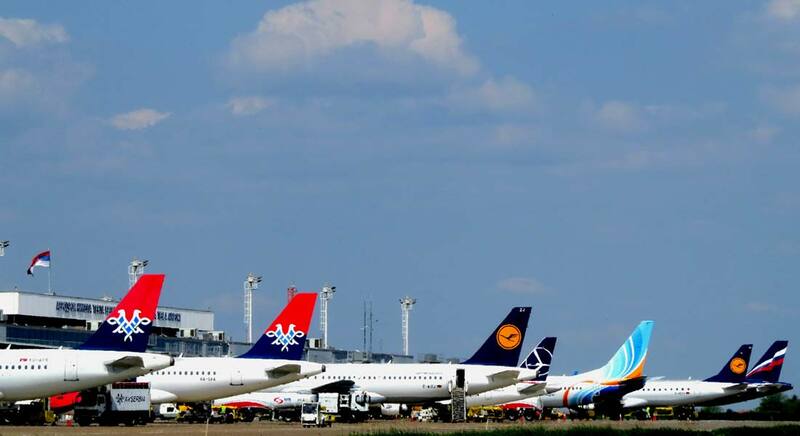 Tourists may arrive in Belgrade by flights of 28 airlines from 61 destinations in 35 countries! The good air connection is the basis of tourism development. And according to the winter flying timetable, published by all airlines flying from Belgrade, in the line passenger traffic from Nikola Tesla Airport there will be five percent more flights compared with the previous winter season. The highest increase of the flights among the international airlines has got Aeroflot company, which will include also the third daily flight from Belgrade to Sheremetyevo Airport in Moscow, as well as Red Wings, which will fly four instead of three times as so far. Significant increase of the traffic scope is announced by LOT to Warsaw and Transavia to Amsterdam and the weekly operations will be increased also by Belavia to Minsk, Austrian Airlines to Vienna, Norwegian Air Shuttle to Oslo, TAROM to Bucharest and Air Cairo to Hurghada. Air Serbia will include additional flights to 17 destinations from its flight network, most of them to New York, Moscow, Zürich, Beirut, Athens and Podgorica and only in this period it will also have flights to Malta and Sankt Petersburg.